Time flies when your having fun! We are already onto our 6th Super League Season! The BPO Super League ranks all players from each league and gives HUGE benefits to each leagues top players based on ranking and # of events the league has hosted. Top ranked players are invited to buy-into the upcoming championship and some are even invited to compete against other league’s top players for more than $7,000 in prizes in the Super League Championship! Every time your league hosts 4 games, a top ranked player is allowed to buy into the upcoming championship. This season is for the East Coast Championship in the Fall of 2018. This means even if you didn’t win a seat, you can at least buy into the upcoming championship as a top ranked player for the current season. 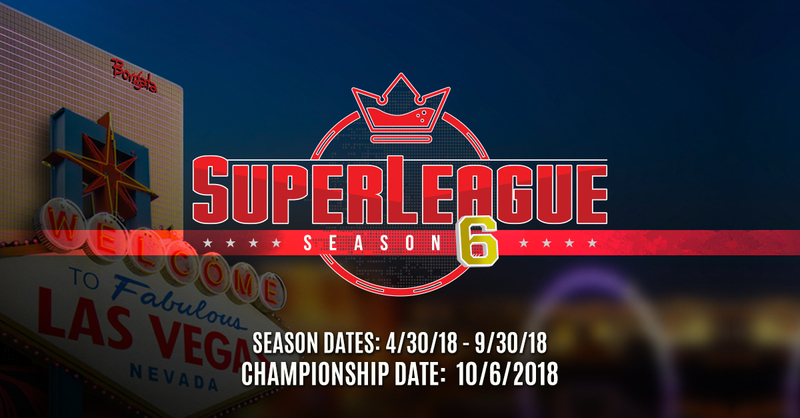 Every time your league host 10 games, a top ranked player wins a seat into the Super League Online Championship on Saturday, October 6, 2018. We find this to be the fairest measure of inviting top performing players from each league. Quite simply, a league that hosts 1,000 games a season should be able to invite proportionally more players into the special events vs. a league that hosts 50 games / season. Players that have already won 2 seats will win a masters seat for the 3rd Seat. Is the 20.25 logorythym for figuring points still the same for the season 6 super league?